« Sacred Skin goes global (again) at the Frankfurt Book Fair! 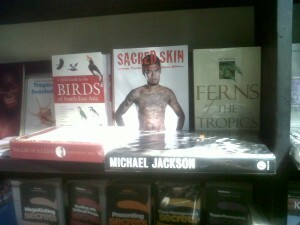 The Good News continues: Sacred Skin at Siem Reap Airport! Just passed through Siem Reap International Airport in Cambodia today and spotted my new book Sacred Skin in the airport bookshop, displayed prominently next to Birds of South East Asia and Ferns of the Tropics…hm, topical. Spent a week on assignment in Siem Reap before returning to a flooded Bangkok. Sacred Skin is the first English language book on Thailand´s sacred tattoos, Sak Yant in Thai. Since its publication in July, Sacred Skin has garnered amazing reviews in TIME, El Mundo, Die Zeit, on CNN and even on French and German television. 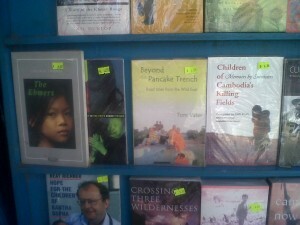 And I was surprised to see that my first book Beyond the Pancake Trench, published by Orchid Press in 2004, continues to be sold as a bootleg photocopy in Cambodia. Long live piracy….